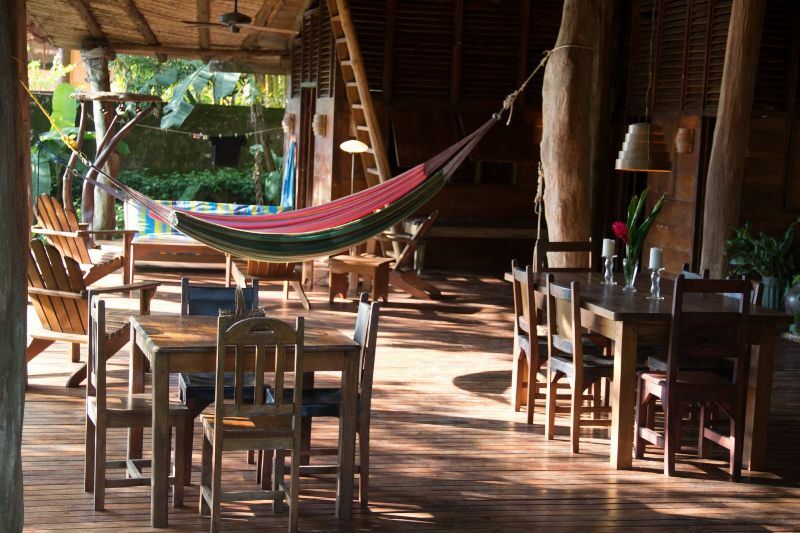 The Jungle Beach House is an amazing group accommodation. Three separate buildings with a total of eight bedrooms can accommodate up to 20 people. 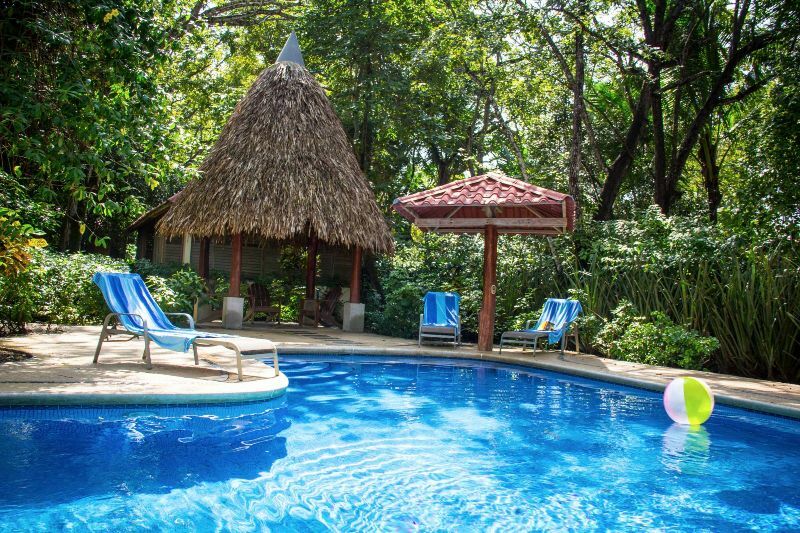 Great for large groups, multiple families, reunions, weddings, corporate / educational retreats, this unique place is what vacationing in the tropics is all about. 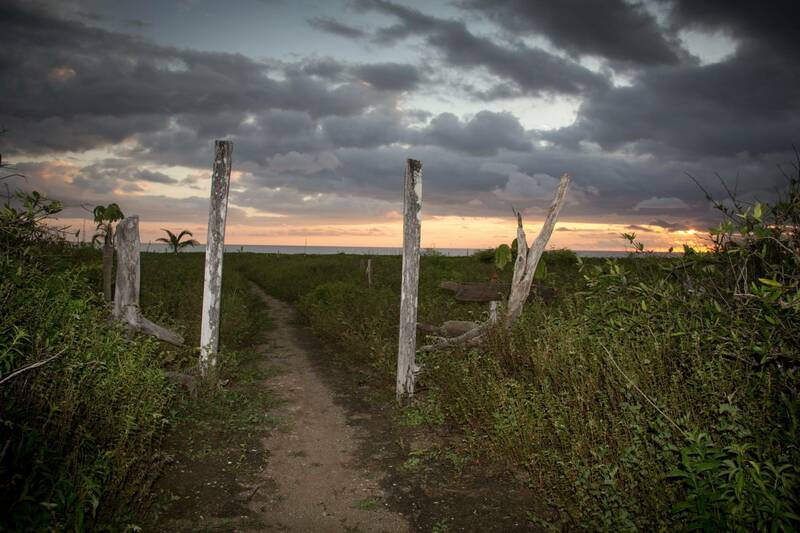 You cannot beat this location on the southend of North Playa Guiones - it's as close to the beach as you can get! 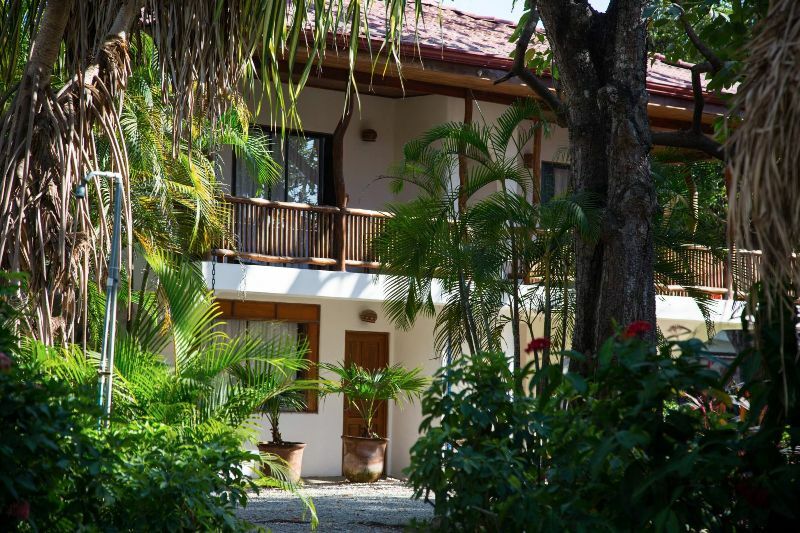 One of the few private rental properties on the maritime zone, the Jungle Beach House is ideally located between Hotel Casa Romantica and Moana Surf Resort, and has its own private walkway to the beach (1 min. 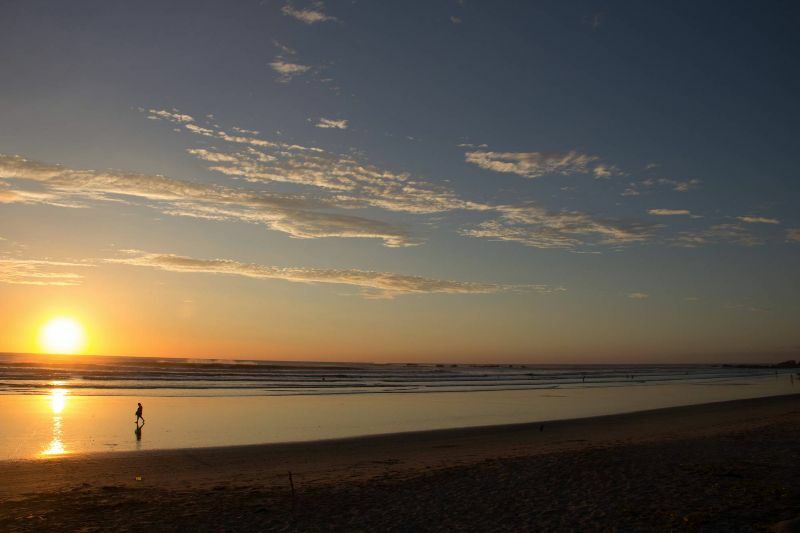 walk) so falling asleep to the sounds of surf is a definite. 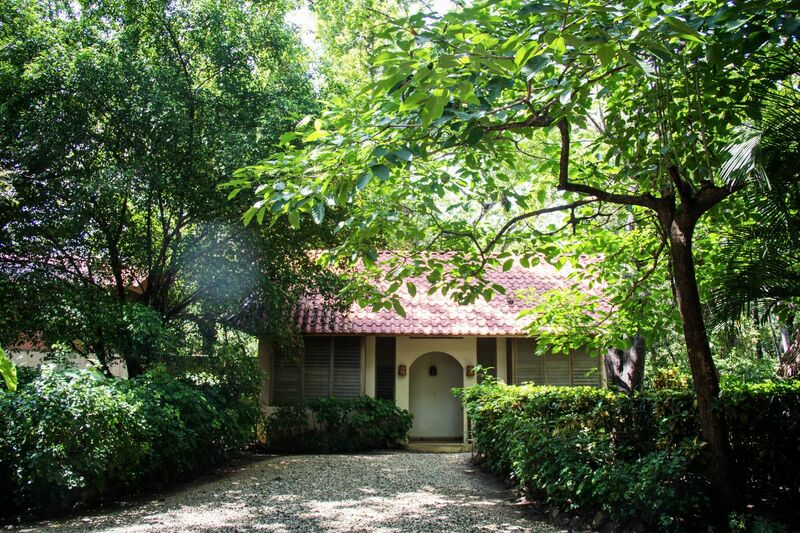 This large property is very private, lushly landscaped and has a swimming pool, covered parking and many great features. Add on up to 20! 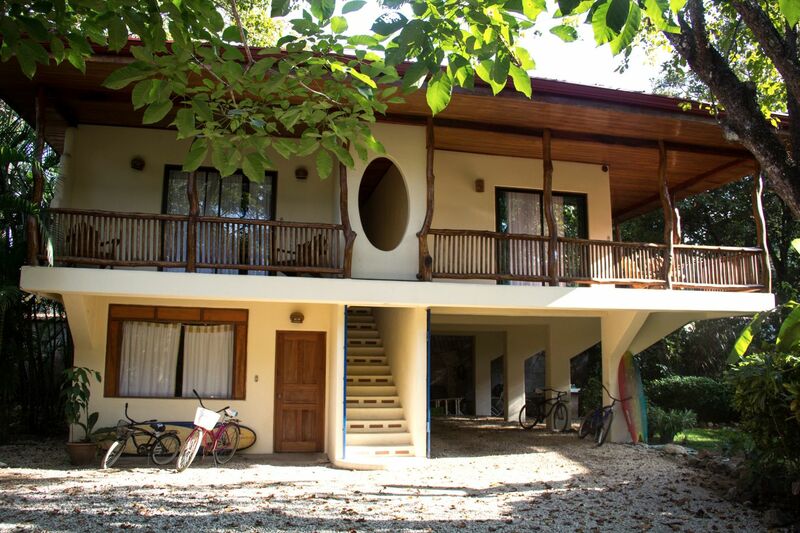 The Jungle Beach House's base rate is for up to six people, so a family of six (or less) can pay the minimum base rate to book the enitre compound. Have the whole place to yourselves and spread out, each with your own bedroom, or invite some friends/family and see what happens. After six, there is a per night fee of just $20 - $40 per person depending on the season or holiday. 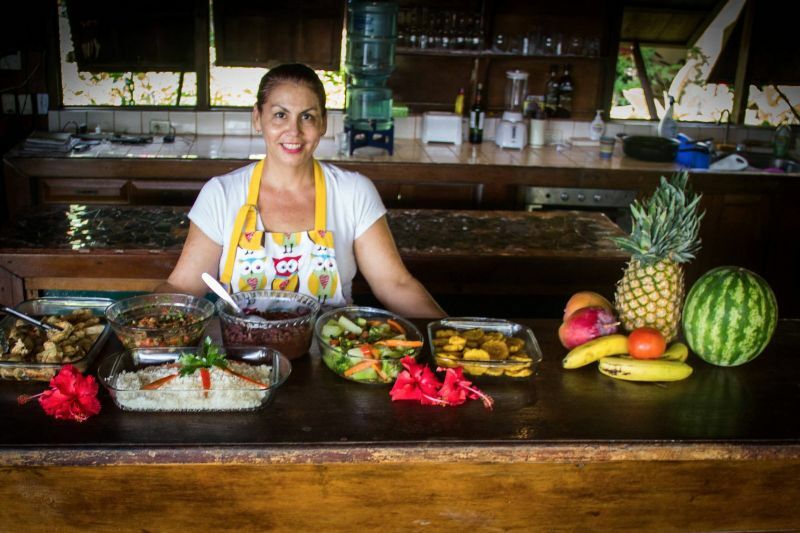 Our cook/maid Marta will come daily, Monday to Saturday, and prepare breakfast and lunch (guests procure groceries), and tidy the rooms and rancho in between. Just let Marta know what you like for groceries/meals and she will even order for delivery. Why waste precious vacation time running to the Super when they will come to you? Yes, Marta's services from 6:30am to 2pm are included in the rental price! No, this is as real as it gets. 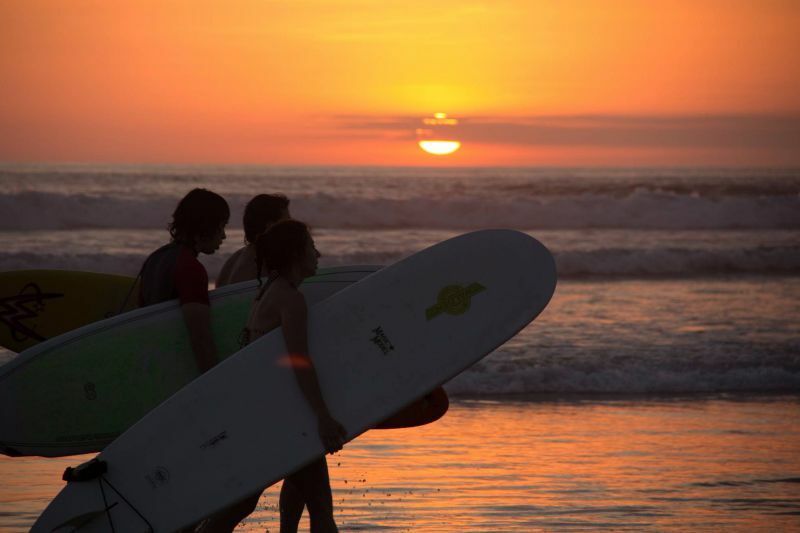 The Jungle Beach House is co-owned by two families from the U.S. who have created their perfect playground, on their favorite beach, in their favorite surf town. This is not our business, it's our escape, our passion, and our dream home away from home. We aren't looking to get rich, just want some good souls in the house to enjoy it like we do, help pay the bills, and keep Marta company when we aren't around. 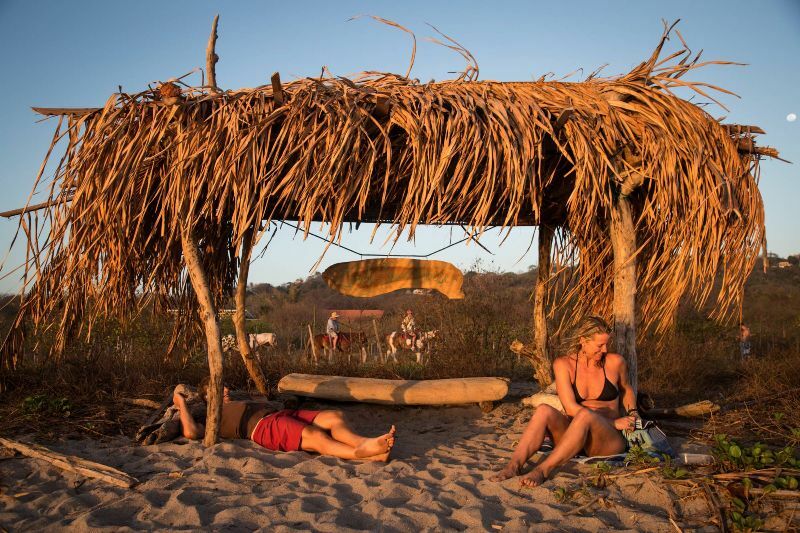 You are lucky enough to have found Nosara and you are lucky enough to have found the Jungle Beach House ... if you can find an available week or two that works for you, then we're pretty sure you know what to do from here. The primary gathering area is in the oldest building, the Rancho, a rustic rancho open to the outdoors with soul. 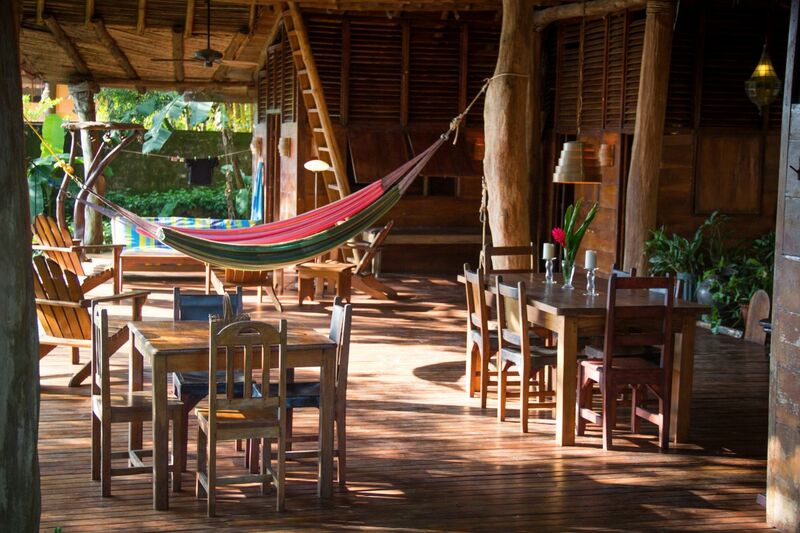 It has a gigantic open air porch complete with hammocks and comfy a comfy sitting area, two bedrooms, a living room, two dining areas, a convenient bathroom and a large, chef's kitchen. The Main Guest House has four modern, air-conditioned bedrooms, including a master suite with an oversized bathroom. Two of the upstairs bedrooms include private, rustic balconies that overlook the grounds. The newest area is the private Swimming Pool / Cabina compound which contains two private bedrooms with additional loft area and private full bathrooms (mirror images of each other) both are adjacent to the large pool.